← Corvair Case sale, 36 available, $100 each. For the last 15 years we have made a part called the “Front Spinner Bulkhead”. In our conversion manual numbering system it is Group #4000, Part #4002. It is just for Corvairs using Warp Drive Props and the Van’s 13″ spinner. The part has traditionally had a molded fiberglass bulkhead with an aluminum crush plate. Below are pictures of the latest version, it has been modified to be 100% Aluminum. All of the existing backorders on this part have been filled with this new design. Above, a look at the part from the engine side. 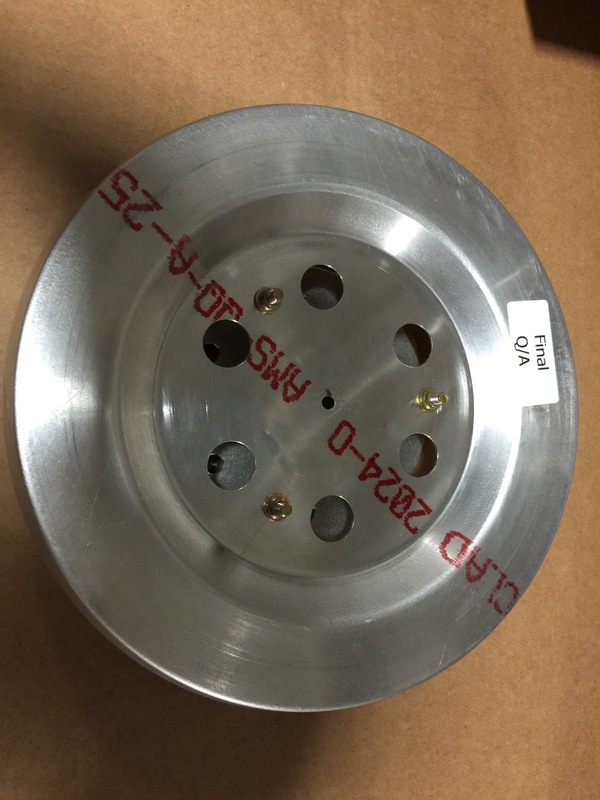 This is the 3/8″ thick crushplate required by Warp Drive Props. It is a precision CNC part. Above the spinner side of the part. The six large holes allow getting a socket on the prop mounting bolts. 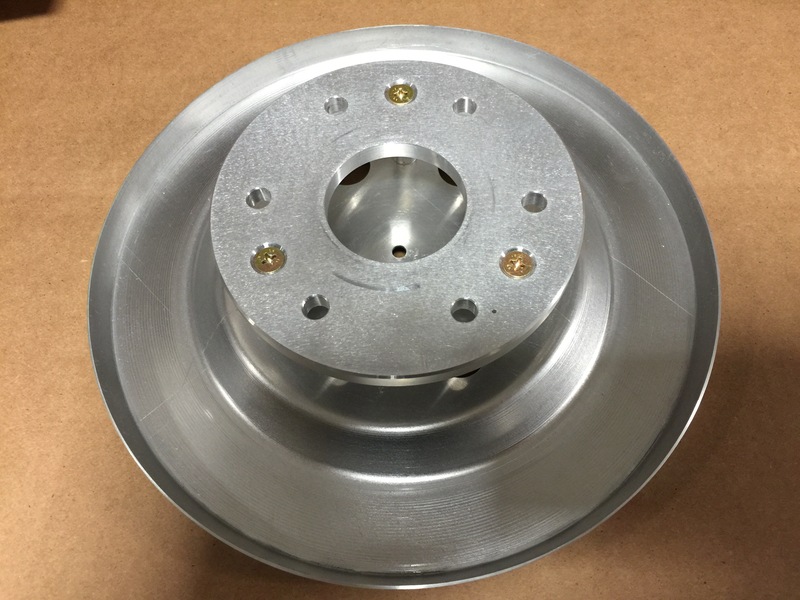 The spun aluminum part starts out life as a Van’s aircraft part, but it has been fed through the CNC router at SPA/Panther to produce the correct SAE#1 bolt pattern and enlarge the holes for clearance. The complete assembly is put into a lathe, and checked for trueness. These Aluminum assemblies are slightly lighter and more true than previous Aluminum/fiberglass models. The sticker on the part shows that it has passed the final assembly check. This improved part is another example of how builders have benefited from my collaborative work with the Wesemans. 2016 has been a year of progress on the manufacturing and distribution of a number of products, all of which adds up to builders having a better opportunity to Learn Build and fly.